Terry Lundgren and his successor Jeff Gennette discuss what led to the department store's decision to shut down almost 15% of its current locations in the U.S.
From overseeing the marriage between department stores Federated and May back in 2005 to buying cosmetics retailer BlueMercury last year, Macy's (M - Get Report) Chairman and CEO Terry Lundgren hasn't been shy about signing off on bold moves. 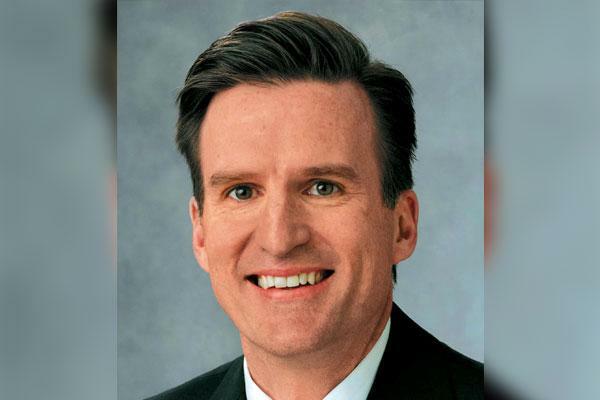 But August 11, 2016 may go down as the day where Lundgren announced one of the biggest moves ever in his long tenure at Macy's, just as he prepare to hand over the CEO reins to hand-picked successor Jeff Gennette next year. Amid the shift to online shopping that has made operating a vast portfolio of brick-and-mortar sites less lucrative, Macy's said Thursday it will close 100 stores by early 2017, or almost 15% of its current 728 locations. The company plans to take the savings from operating these low-volume stores and reinvest them in its top-performing locations. The locations of those 100 stores were not disclosed. "Yes, it's a bold move -- but we have made bold moves on several occasions. So, this is just another one," Lundgren told TheStreet in a phone interview. 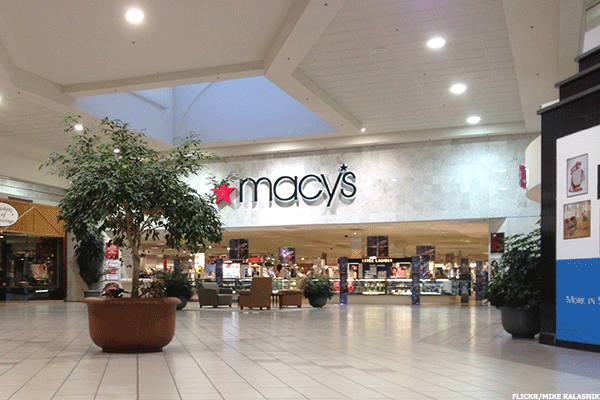 Shares of Macy's surged almost 17% in afternoon trading to $39.85. Investors are likely positive on the store closure news and the money it will save, as well as the prospect for real estate sales that could lead to more share repurchases or a dividend hike. Macy's big move will have ramifications for apparel manufacturers such as Polo Ralph Lauren (RL - Get Report) which will lose doors, to consumers, some of whom will lose their local Macy's. TheStreet talked with Lundgren and Gennette about the company's bold new plan to rationalize its store fleet. What follows is an edited and condensed version of our discussion. Macy's store fleet is about to get much smaller. TheStreet: Is announcing that you will close 100 stores one of the boldest decisions you have ever made in your long career at Macy's? Terry Lundgren: Yes, it's a bold move, but we have made bold moves on several occasions. So, this is just another one. If you go back years ago to 2005 [when Federated and May merged to create the current company], and even before that when our industry faced big challenges after September 11 or the 2008 financial crisis, every single time we had a big response and it worked out for us. This is another example of us not waiting around to see what others are going to do. We feel a major role here that we filled in the past -- and we need to fill again -- to help lead the industry out of what has been a challenging period into an opportunistic period moving forward. I think these big announcements and big steps are positioning us for growth in the future. TheStreet: The 100 stores being closed, why were they targeted? Gennette: I think it starts with our commitment to be the premier omni-channel retailer in America. So when you make that statement, you have to be committed to a really good website and a really strong mobile app and a really strong store presence that are in all of the metro areas of the United States. When you are looking at store closures, there was a traditional way we used to do it where we would look at the financial performance of each of the individual buildings and we would have made the decision based on that. The way we are looking at this right now is that knowing that you can service your customer on the internet [in major metro areas] you don't necessarily have to be in weak malls. The opportunity for us was to look at making sure we are representing those customers we have options for. Once we make those decisions on what stores to get out of, the opportunity is to then look at the stores that surround those closed stores and then enhance them. TheStreet: What message does closing 100 stores send to some of your department store peers that are still bigger than you? Gennette: I won't comment on that specifically, but will say that one of the things we are convinced on is that our store experience has got to improve. We have many stores we are very proud of and our customers love, and then there are other stores where we have to raise our game. When you look at the expense that is going to be required to give us the type of growth that justifies that expense, we have to pick our spots. There are some stores where it would not have made sense -- they may have been cash flow positive, yes - to put a lot of investment into them. For those stores that it makes sense to go forward with, we know the customer is raising the bar with us and we want to be there for them. 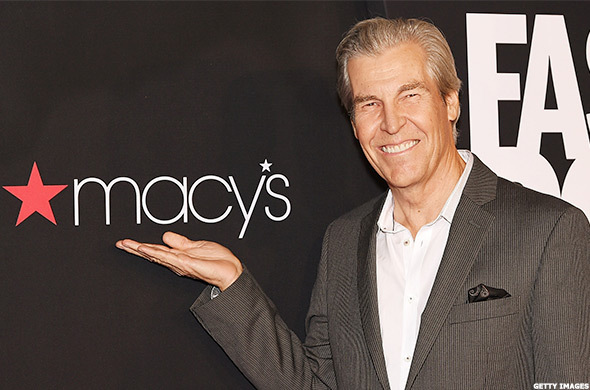 Macy's soon-to-be CEO Jeff Gennette. Lundgren: I would add that there is a need for rationalization of retail space in America. I think the strength of our online business, and the online business in general, has just sped up the rationalization process. This is something that when we look around the corner we see this [retail space rationalization] coming in the years ahead. So rather than waiting to react to it, are getting in front of it. TheStreet: Coach (COH announced this week it's closing about 250 under-performing U.S. department store locations. Michael Kors (KORS is looking to rationalize its footprint in department stores. What goes into these locations when these brands leave? Gennette: I would say that any of these vendors that are talking about pullbacks in distribution -- some impact Macy's but other's don't -- it could be good for both of us. You see we have made the decision collectively the past 18 months to reduce some stores, but what we have agreed to is a ramped-up investment in the remaining buildings. What we see from that vendor in particular [Coach] is putting a much bigger capital strategy -- on their dime -- to create shops and experiences inside of our stores. They are basically giving management and sales associates to us to work to increase the connection with the consumers coming into those new shops. More big changes to the look of a Macy's store are likely coming soon. 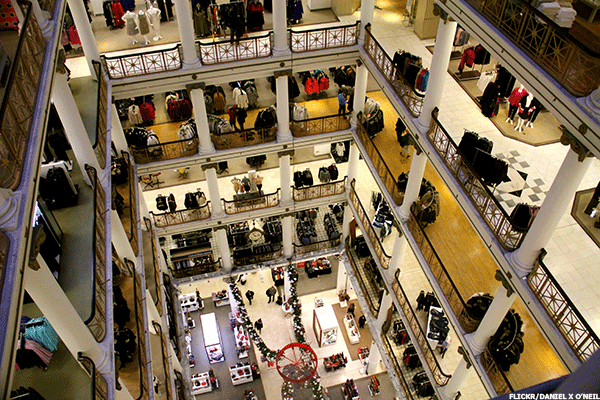 TheStreet: Driving traffic continues to be a problem for the department store space. Looking bigger picture on the department store model, should the department store of the future resemble a Target (TGT - Get Report) that has traffic-driving food departments? Lundgren: I would say that we are encouraged by the moves we are making to attract more customers into our building -- it's just a matter of getting the real estate rationalized. I do believe you will continue to see lots of new ideas coming into our building - it could be food in one location or two, but it's not going to be across the 600 or so locations we will have left. But you will see more and more elements of surprise and interest that will draw traffic into our stores. We are very keen on doing this. We have some announcements coming in the near future. Just know that we are thinking very hard and long about how to make the Macy's building more enticing to consumers and keep them there long. Gennette: We have had great success with our lease partnerships. What Terry is saying is that we know the Macy's nameplate and the department store construct is pretty flexible to new categories that our customers want. An example of this is LensCrafters. It's a great service, and it doesn't cannibalize anything else in our stores. It connects with Macy's because the frames are designer. So when you think about what we do with Sunglass Hut and all of a sudden you have prescription lenses on designer frames from LensCrafters -- that's a great marriage. One should expect that we continue to bring things into our building -- both owned and leased -- that will make us a more interesting destination.